It’s time to talk about popular jewelry because we know you want to stay on top of trends. When buying precious & semi precious stones jewelry you probably think about the popularity of the designs as well. This doesn’t mean that you should only buy jewelry according to the trends, but it doesn’t hurt to know what is happening in the jewelry world. So, without further ado, we give you Ana Luisa’s bestseller list. 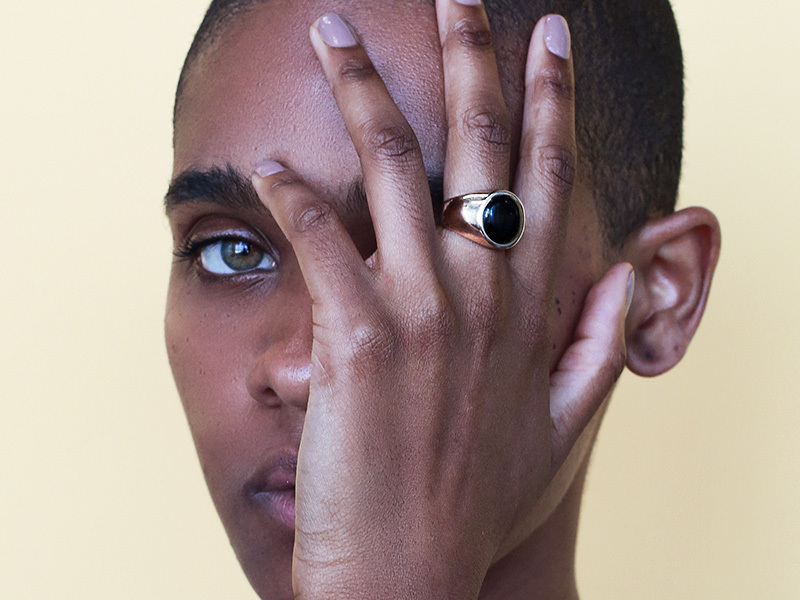 Read further to discover the most popular jewelry designs by Ana Luisa. Lots of women think about the earrings before deciding what to wear that day. For example, if you want to try your new gemstone studs, you will choose a simple shirt and wear your hair up to showcase your new earrings. This happens because jewelry is how we express ourselves and it is only natural to think about it firstly. This being said, let’s see the most popular earring designs by Ana Luisa. When it comes to popular jewelry, Hope earrings have taken things to a whole new level. They were sold out in just two days and, frankly, it was hard to keep up with the demand. These fabulous pearl drop earrings feature two large baroque pearls, are chic and easy to style. It’s no wonder that every woman wants to have this pair in her jewelry box. 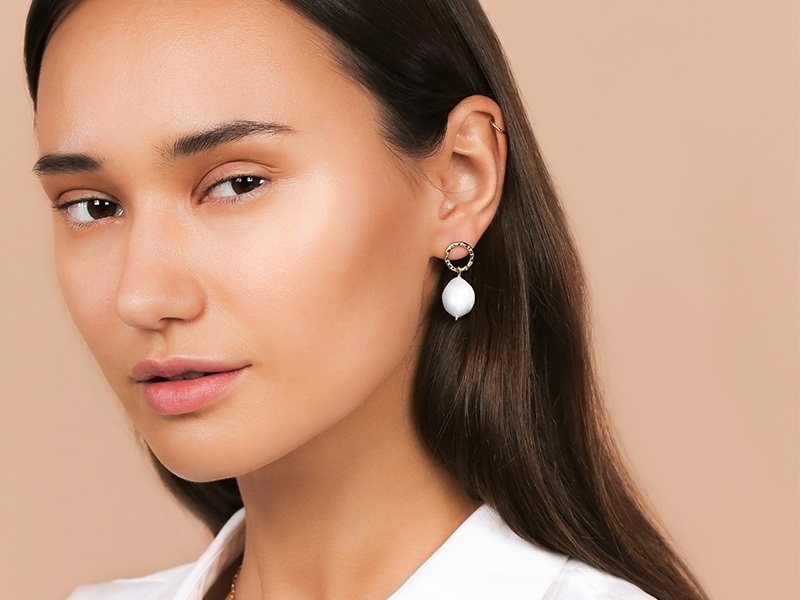 If you are also thinking of buying this popular jewelry design, read on for some inspiration on how to style these pearl drop earrings. Wear your hair up in a relaxed bun and put on some red lipstick to get a glamorous look. 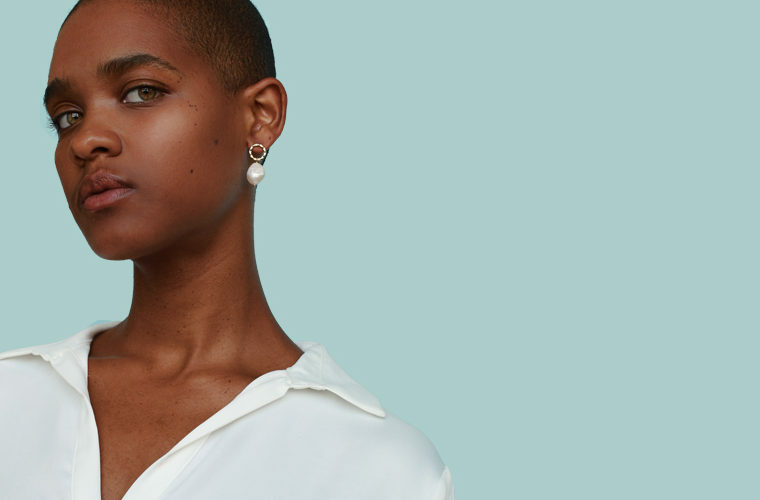 You can match these pearl drop earrings with a pearl pendant or if you want to add an edgy vibe to your outfit, try an oversized link chain necklace. Wear a simple shirt in a muted color and a pair of stiletto shoes to get an elegant and fabulous look. If the first creation on our popular jewelry list was a pair of delicate and chic earrings, the second one is a pair of fabulous statement earrings. 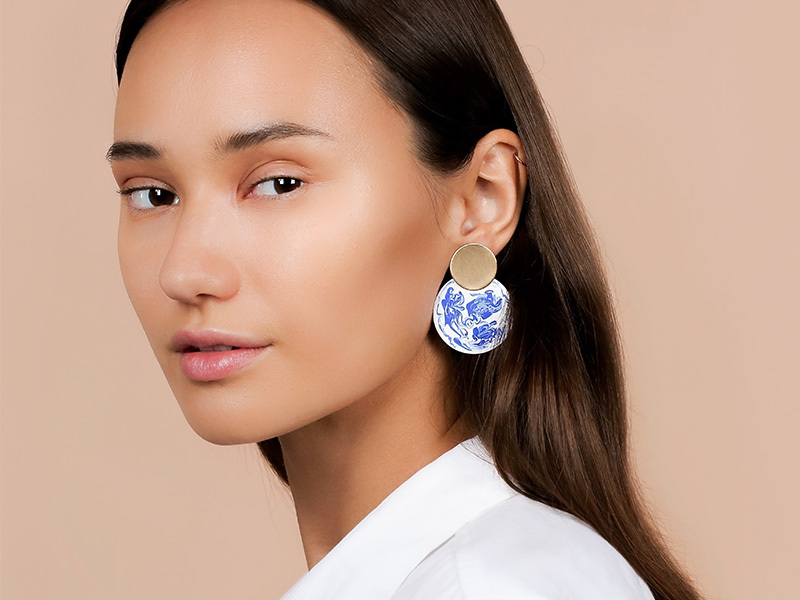 With a ball drop design, a vivid color and a unique look, Ana Luisa’s Kinoko marble earrings are ideal to wear to that cocktail party you’ve been looking forward to. 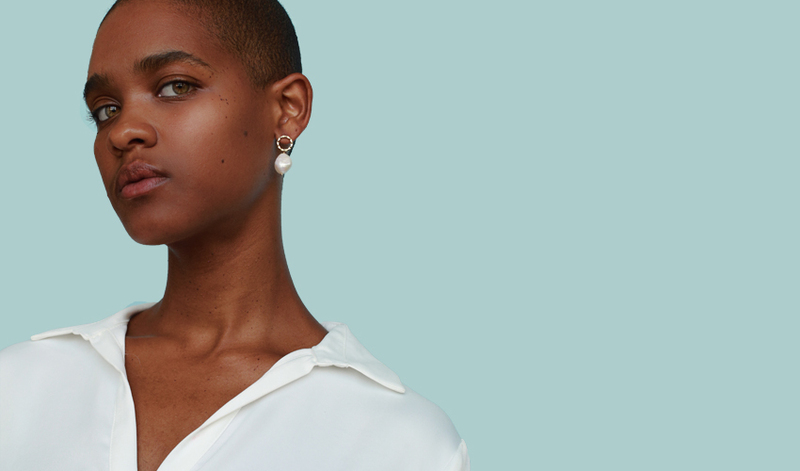 As these are statement earrings, we recommend you keep your other jewelry minimal. This popular jewelry design will look fabulous with a half-up, half-down hairstyle, a bandeau dress, and a jewel clutch. You can bring back the color of the earrings in your dress to create a theme, but you can also go for a color block look and try wearing a red dress. We bet you have a lot of different necklace designs in your jewelry box, but we also bet that you can’t wait to try Ana Luisa’s most popular necklaces. As you may know, there are a couple of trends that are particularly strong this year: coin jewelry and layered necklaces. Our popular jewelry list reflects these trends as well. 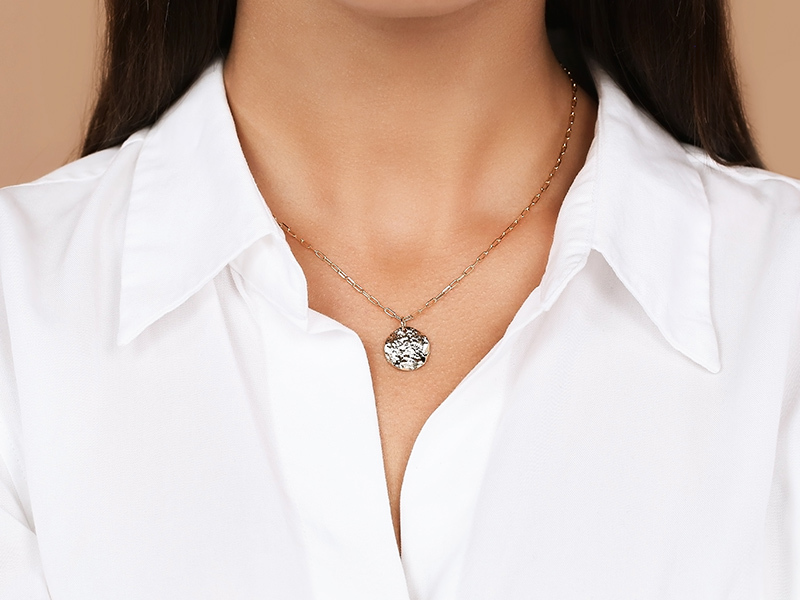 Delicate, versatile and beautiful this coin necklace is everything you need to transform any outfit. This popular jewelry design by Ana Luisa also sold out very quickly but don’t worry. We have replenished our stock so that you are able to get it too. When it comes to wearing this coin necklace, you have a lot of options to choose from. You can keep it minimal and wear it with a pair of gold studs, a cashmere sweater, and jeans. You can also try a more glamorous look and wear it with a silk dress and a pair of statement earrings. An essential jewelry piece, this necklace offers a lot of styling options so it’s time to put your imagination to good use. In case you haven’t heard it, popular jewelry this year means layered necklaces. Sure, you can also wear your chunky statement necklace, but you will definitely want to try this new look. Ana Luisa’s layered necklaces set features three dainty necklaces with different pendants: a Virgin Mary pendant, an onyx gemstone pendant and a large and brilliant sun pendant. When you are wearing this popular jewelry creation or any other layered necklaces, keep in mind that you are, in fact, wearing a statement necklace. This means that you want to keep your other jewelry minimal to avoid looking too busy. Because of the different lengths, layered necklaces look best with deep-V necklines or even turtlenecks. Last, but not least, when it comes to popular jewelry by Ana Luisa, we have to talk about two of our exquisite bracelets and rings designs. Read on to find out more about them. With a navy blue color and a mix of gold and fabric, this chic bracelet looks and feels amazing. You can get one for yourself and one for your bestie and go out together while wearing your bracelets. The beauty of this popular jewelry piece is that you can wear it with jeans and a graphic tee, but you can also try it with a more sophisticated look, such as a lace dress and stilettos. Featuring a flawless onyx gemstone in a bezel setting, this signet ring is easy to style, elegant and simply gorgeous. Wear it with a French manicure, a pair of onyx studs and a couple of stacked bangles to create a fabulous layered look. If you enjoyed reading about popular jewelry by Ana Luisa, check out our other articles as well. To view any of the designs featured in this article and see more unique NYC jewelry designs, visit Ana Luisa online jewelry shop.